This image, captured with the OmegaCAM camera on ESO’s VLT Survey Telescope in Chile, shows an unusually clean small galaxy. 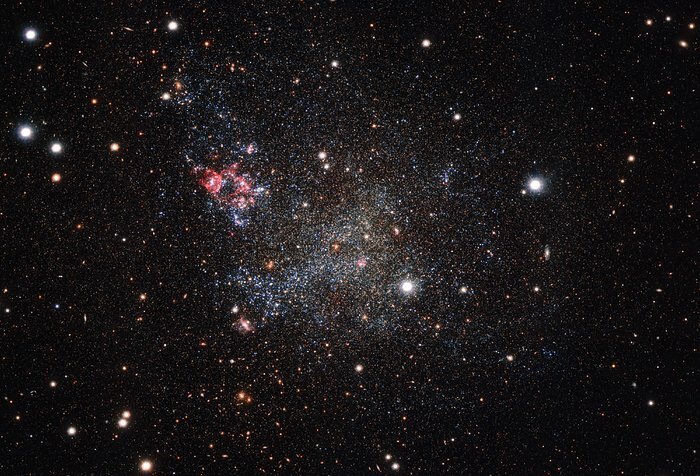 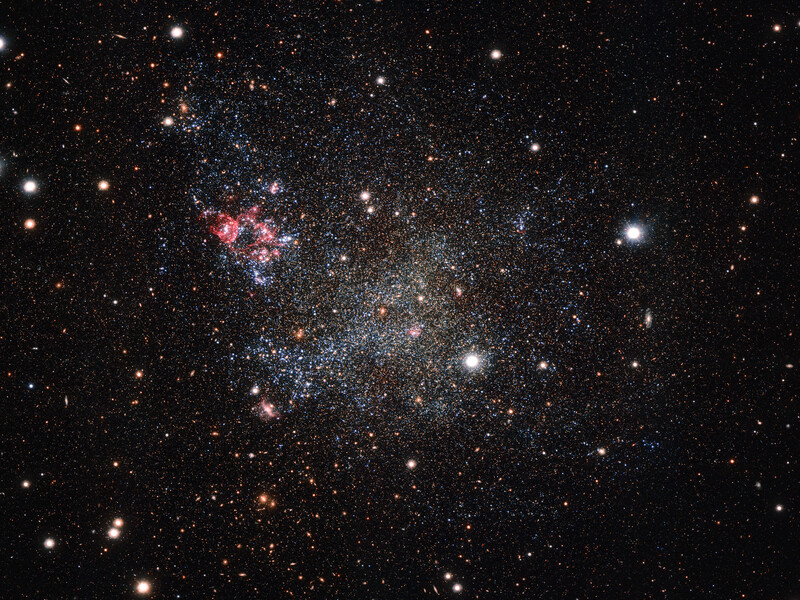 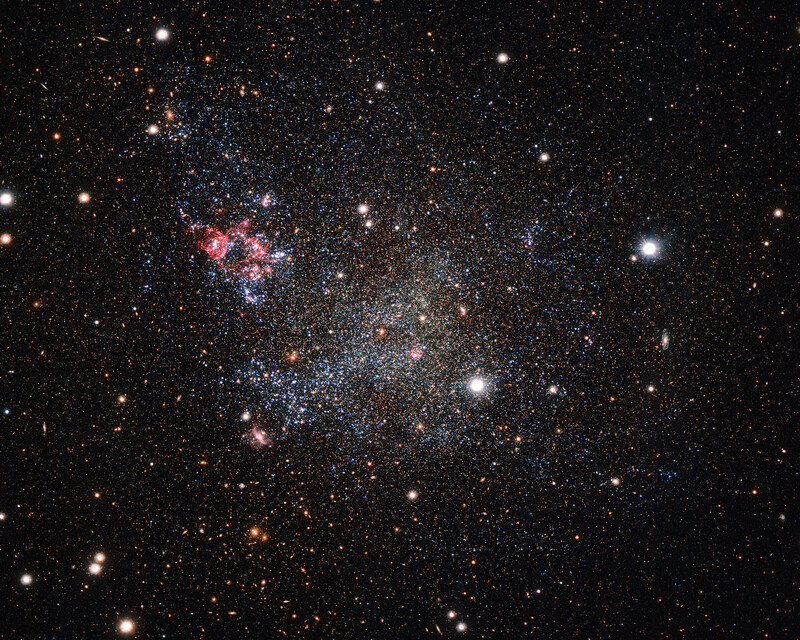 IC 1613 contains very little cosmic dust, allowing astronomers to explore its contents with great clarity. Position (Dec): 2° 7' 29.18"